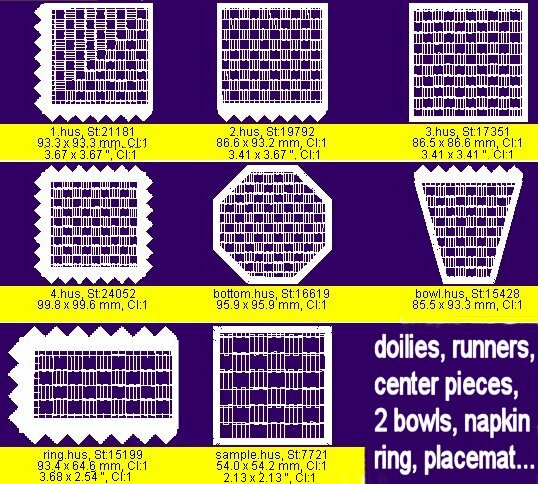 These are stand alone lace designs... they stitch in half the time has the usual lace baskets/bowls. handkerchief, placemats and even an entire table cloth with an antique hand made feel. Please note that this lace is as soft as if it was handmade. remains flexible, soft and resistant to washing. Designs were embroidered on 2 layers of water soluble stabilizer.